In 2002, superstar comic book artist Jim Lee joined writer Jeph Loeb for a 12-issue storyline called Batman: Hush. It was Lee’s first major run at DC Comics, and it quickly became a fan favorite story. That’s why Batman: Hush will be the latest animated feature from Warner Bros. and DC. Now, IGN has dropped the film’s cast list and revealed that it takes place within the animated films’ previous New 52 inspired continuity. Jason O’Mara is reprising his role as Batman/Bruce Wayne alongside Sean Maher as Nightwing, and Stuart Allan as Damian Wayne. Jerry O’Connell, Rebecca Romijn, and Rainn Wilson are also reprising their respective roles as Superman, Lois Lane, and Lex Luthor. Jennifer Morrison is portraying Catwoman/Selina Kyle, with Maury Sterling as Thomas Elliot. Vanessa Williams will voice Amanda Waller, while Tara Strong will play a reporter. Peyton List is playing both Batgirl and Poison Ivy, and Bruce Thomas is set as Commissioner Gordon. Several of Batman’s greatest enemies appear in the film, including the Joker (Jason Spisak), Riddler (Geoffrey Arend), Bane (Adam Gifford), and Lady Shiva (Dachie Alessio). Fortunately, Batman still has Alfred (James Garrett) by his side. RELATED: Batman: Hush Adaptation is Coming in 2019! In the original Hush storyline, an enigmatic villain began striking at Batman as if his greatest secret had been revealed. It was also the first post-Crisis story to feature Batman in a romantic relationship with Catwoman. The animated adaptation appears to be taking a few liberties with the story. For example, Damian Wayne wasn’t in the original because he hadn’t been created yet. Barbara Gordon was present as Oracle, but not as Batgirl. Harley Quinn also had a minor role, but she’s noticeably absent from the cast list. The comic also took place at a strange time in DC continuity, when Lex Luthor was President of the United States. While Luthor is present in this movie, it’s unlikely that aspect will be included. Justin Copeland directed Batman: Hush from a script by Ernie Altbacker. A release date hasn’t been announced. 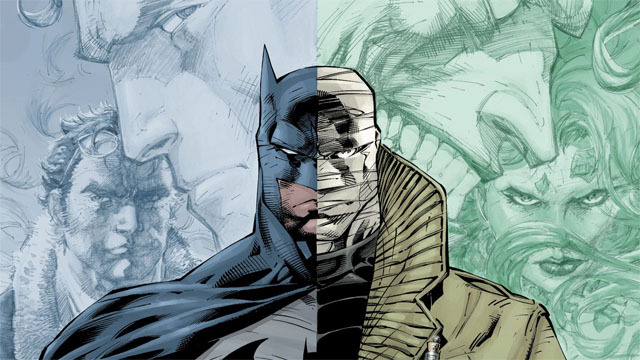 Are you excited about the Batman: Hush animated voice cast? What are your favorite moments from the story? Let us know in the comment section below!